Since departing Red Hot Chili Peppers in 2009, John Frusciante has been hard at work with his solo career, releasing a full-length album PBX Funicular Intaglio Zone and an EP, Outsides, which featured a 10 minute guitar solo and two abstract “out” pieces of music. Continuing his career trajectory into more experimental music, he’s formed a new band called Kimono Kult alongside Omar Rodríguez-López, his longtime collaborator and former guitarist for At The Drive-In and The Mars Volta. Fronted by Teri Gender Bender (Le Butcherettes, Bosnian Rainbows), the band’s debut EP, Hiding In The Light, will arrive digitally on March 4th via Neurotic Yell Records. The EP is described as “four songs of electro/dub/afro-beat/avant-freak/jazz-like conversations of instrumental ecstasy”, which sounds pretty crazy. Pre-orders are available over at the band’s Bandcamp (via Antiquiet). 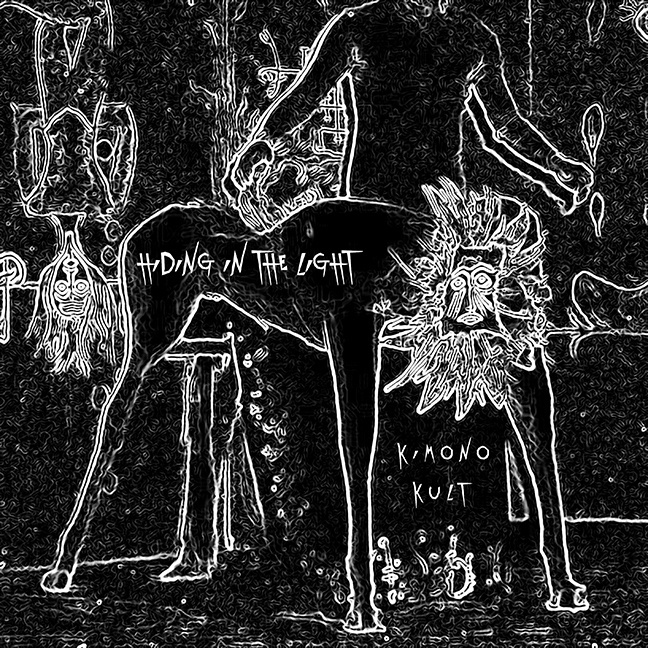 Kimono Kult’s artwork for Hiding In The Light and full lineup is below.